The sky is the way to the universe, if people are awed by nature, they become modest in order to be able to connect there. GAKA is the Japanese word for noble song. GAKA is a ritual performance in which dance, music and stage design contribute equally to an aesthetic experience together with the specific location and time of day. 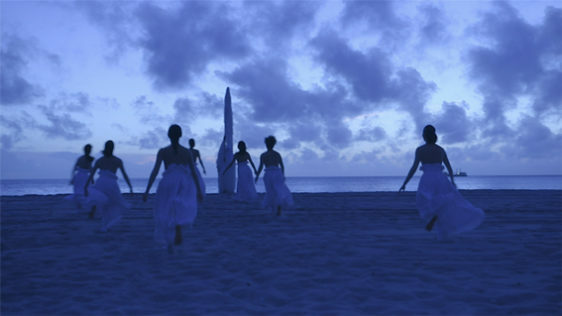 GAKA is a theatrical prayer performed by 20 Japanese dancers who dance, sing and play instruments. 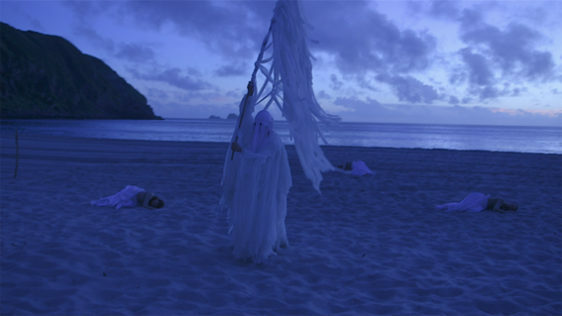 GAKA is an enquiry into a borderland where performance and nature are actively connected and separated. GAKA is a film by Tomoko Mukaiyama & Aryan Kaganof.